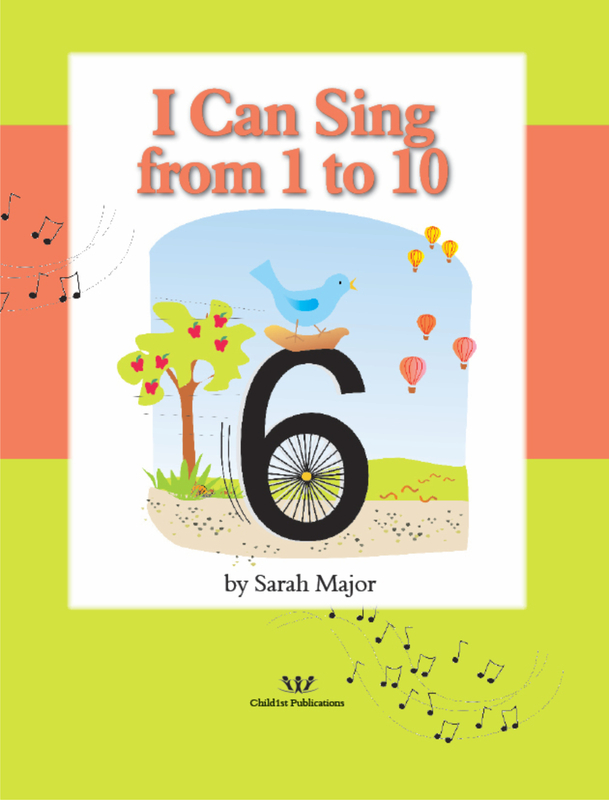 Check out the cover image and notice that while you are singing “6 is a unicycle, watch me ride…” your little tot will see the number 6 with the bluebird riding jauntily on top, 6 hot air balloons appearing in two groups of three, 6 apples on the tree (again in two groups) and finally 6 inchworms in two groups on the ground. 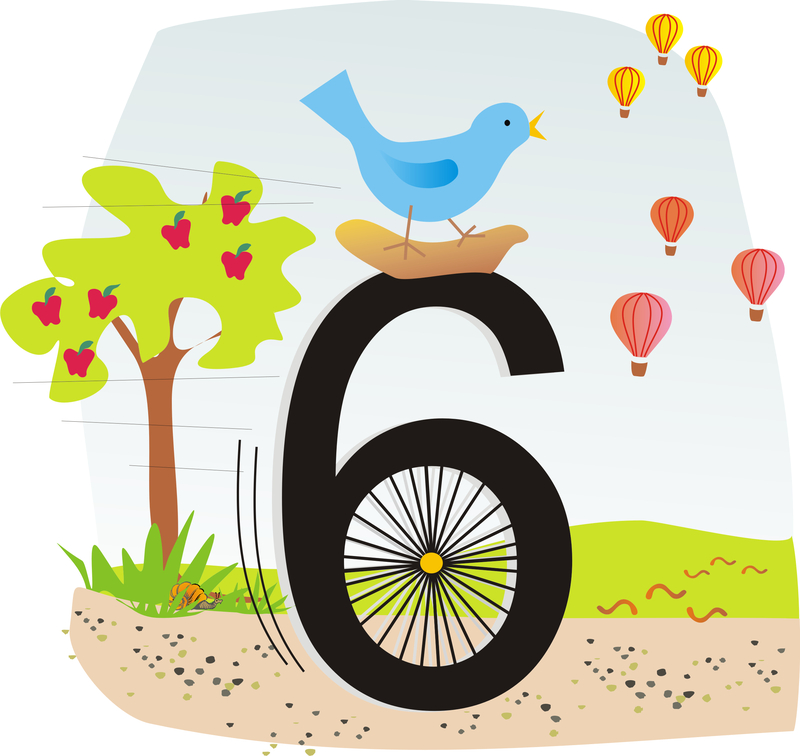 When you have sung through the book several times, your child will recall this illustration with all the embedded information: that “6 is a unicycle,” the 6 hot air balloons, 6 apples, and 6 worms. The visual combined with the song and the body movements provided in the text will all work at storing away all the details about numbers before the child ever starts to formally learn about them. Years ago I taught a dozen preschoolers who were all between 18 months and 5 years old. To help them learn to identify numbers, I created this song, along with some simple black and white illustrations. We sang and did the body motions on a daily basis, and happily the 3- to 5-year-olds learned number names and symbols very quickly. One day the toddlers (18 months – 2 years) played by the wall where the illustrations for the number song were displayed, and they pointed to them, chattering in their baby language to each other. I began to ask each of them in turn if they could find specific numbers I called by name and was astonished to find that while they couldn’t say number names, they could readily point to the digits I asked them to find. I loved so much that the babies effortlessly absorbed something “schoolish” just from hearing the older children singing as they played nearby.